Buddies are Dutch and international students from all the different faculties of our university. 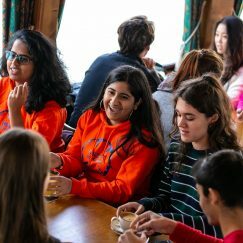 They have lived for at least one year in Rotterdam and really like to share their knowledge and time with incoming exchange and/or full-time students who would like some help with their integration. 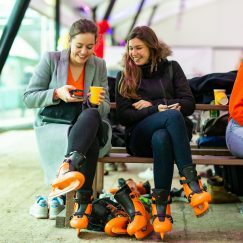 Participating in our buddy-programme is a great opportunity to exchange knowledge, gain insights about different cultures, and a to meet new people in Rotterdam. 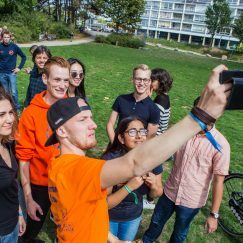 Buddies are there to make sure new students are being assisted with all issues they might encounter during their stay in Rotterdam. Requesting a buddy is a great way to have a first contact person who is eager to help you out in your new exciting experience of moving and studying abroad. Welcome to Rotterdam! For you, going abroad most certainly means a lot of excitement and perhaps also a bit of anxiety. All of a sudden you find yourself in a completely new environment where people behave differently, both socially as well as culturally. You do not know your way around and you do not speak the Dutch language. Literally everything will be new to you. That is why we encourage you to sign up for our Buddy programme here. A buddy is a student at the Erasmus University who can introduce you to the Dutch way of life. As a participant in the programme, you will be part of a group of approximately 350 fellow students. Good to hear! 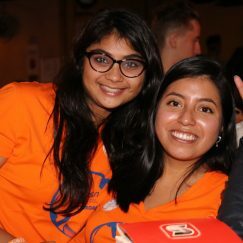 The purpose of the buddy programme is to assist international students in Rotterdam with integration in the Dutch student life. You get the opportunity to practice a foreign language, get acquainted with different cultures and get involved in the international community in Rotterdam. You can sign up here. I signed up a while ago, but I haven’t heard anything. Why? If you have the confirmation email, you are properly registered in our systems. Most likely we haven’t found a suitable buddy for you yet. We strive to match you with other students that we think will fit, and sometimes that means that it does take a bit longer to find a buddy. I didn’t get a confirmation email when I signed up. Am I entered into your systems? Check your spam folder first. If you can’t find the confirmation email anywhere, you are not properly entered into our systems, and you need to sign up again. Remember to press submit after filling in your information. I missed the deadline, can I still get a buddy? There is no set deadline. We do the first matching session about two-three weeks after the semester has started. After that we match buddies continuously throughout the semester. We have matching sessions roughly weekly, more if the need arises. We do however stop matching about six weeks before the semester ends. You are however more likely to get a buddy if you sign up early. When do you match buddies? Our first matching session (and the biggest) is after about two-three weeks before classes. After that we match buddies continuously throughout the semester, roughly once a week. Do you still assign buddies? Yes. We match and assign buddies continuously throughout the semester. We match roughly once a week, more if the need arises. 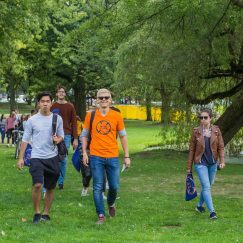 I am an international student, can I have multiple buddies? No, please only sign up once. Fewer local students sign up than incoming international students, and we want to cover as many international students as possible. I am a local student, can I have multiple buddies? Yes. 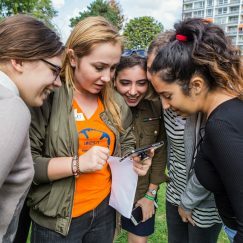 There are always fewer local students signing up than incoming international students, so we need all the help we can get to cover as many as possible. When will I get a buddy? Most buddies are assigned after about three weeks after the semester have started, after that we do matching sessions roughly once a week. Am I guaranteed to get a buddy after signing up? Yes, if you signed up in time. For interesting stories on the experiences of previous buddies, check out the EUR Buddy Facebook page. 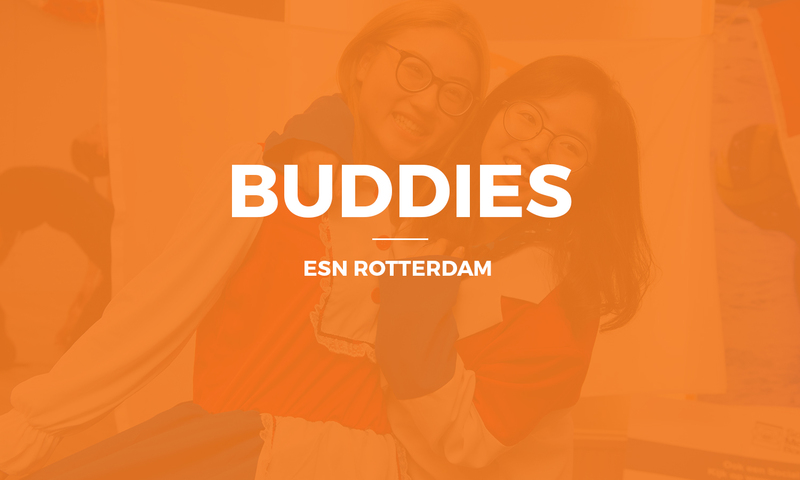 If you have any questions related to the EUR Buddy Programme, do not hesitate to contact buddy@esn-rotterdam.nl.